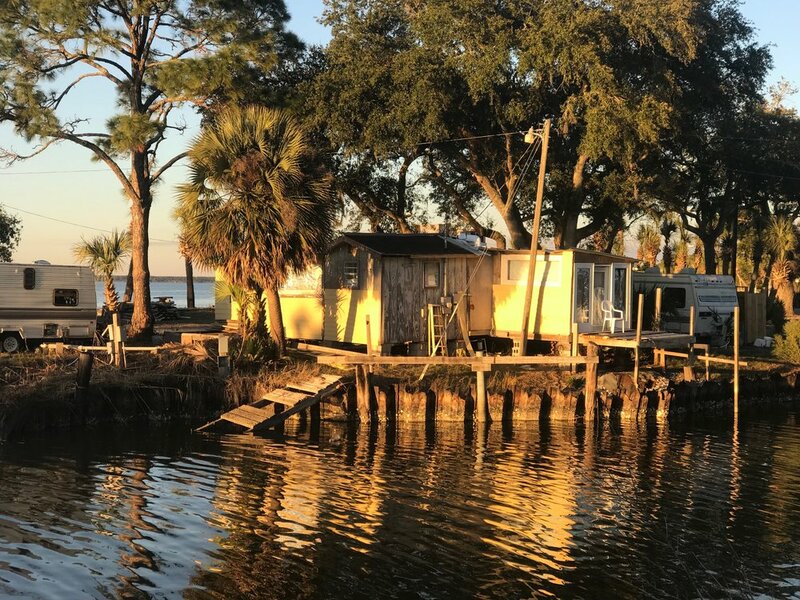 Many homes along the Forgotten Coast couldn’t escape the destruction of Hurricane Michael. Cooking up the main attraction last January at the Apalachicola Volunteer Fire Department Oyster Cook-Off. The Fisherman’s Choice is a local center of activity in Eastpoint, Fla.
Trophies on display at the Fisherman’s Choice, a local center of activity in Eastpoint, Fla.
Our trailer, parked across Rte. 98 from the Gulf. 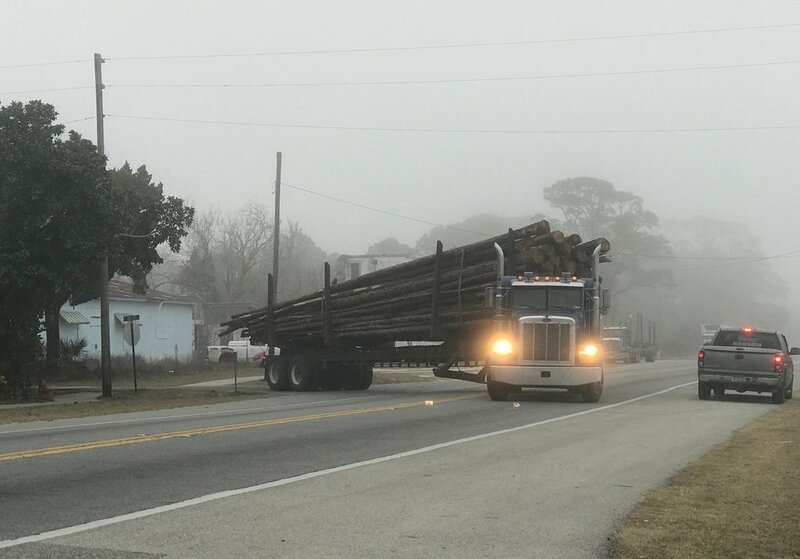 Timber trucks are a frequent sight on Rte. 98. A rare grove of dwarf cypress trees in the middle of Tate’s Hell State Forest. A pelican hanging out at the Oyster Cook-Off in Apalachicola. Then came Michael, with winds strong enough to blow down cinderblock walls. The hurricane knocked down almost every building in Mexico Beach, an hour west of Apalachicola. The News-Herald reports that Panama City has lost 95 percent of its trees. Surveying the ruins of the Apalachicola seafood company his family has operated for 100 years, Tommy Ward was despondent.